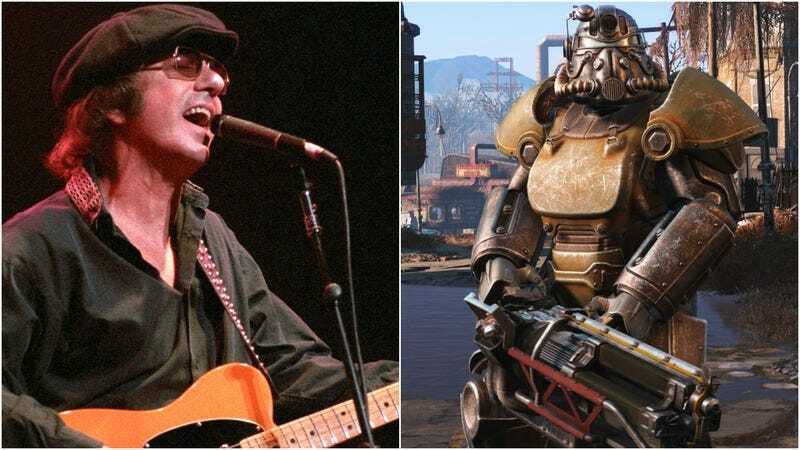 Dion, the ’60s crooner known for hits like “Runaround Sue,” is suing the makers of Fallout 4 over their use of his song “The Wanderer” in trailers and commercials for the game, according to a report on TheWrap. Dion—who does in fact have a last name, DiMucci—and his legal team allege that while Universal Music Group licensed the song to ZeniMax, Fallout 4’s publisher, the contract specified that Dion could engage in separate negotiations with the software company and refuse the use of the song unless his terms were met. Defendant’s Commercials were objectionable because they featured repeated homicides in a dark, dystopian landscape, where violence is glorified as sport. The killings and physical violence were not to protect innocent life, but instead were repugnant and morally indefensible images designed to appeal to young consumers. If ZeniMax had consulted with the singer first, as the contract allegedly required it to, Dion would have asked to alter the ads “so that, for instance, they instead told the story of a post-apocalyptic struggle for survival without craven violence,” the suit reads. Alternatively, ZeniMax could’ve paid Dion more money so that he could “safeguard himself against the potential loss of goodwill from being associated with the immoral images,” at which point he would’ve been totally cool with all that craven violence. Considering the amount of violence in the actual game, which is rated M For Mature and marketed to adults, there’s shockingly little violence in these supposedly “repugnant” ads. Sure, a nuclear bomb goes off and wipes out an entire New England community, but once the main character emerges into the post-apocalyptic wasteland, the only things he shoots at are a giant irradiated cockroach and a distant gang of murderous super mutants, the latter of which don’t even appear to get hit during the five-second-long firefight.